Our DIRECTOR Mr.T.K.Palaniappan is a post graduate in structural Engineering, graduated from Madras University and an Alumni of Coimbatore Institute of Technology (CIT) Coimbatore. 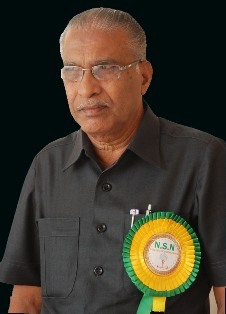 He has, to his credit, more than 35 years of teaching, practical and administrative experience in technical institutions of Govt.Polytechnic Colleges, Private Polytechnic Colleges, Engineering Colleges and state P.W.D. He has more than 10 Years of experience as Principal of the Karur polytechnic college. He has authored several text books for Civil Engg.students. His varied rich experience in the field of technical education will be a boon to achieve our goals of vision and mission.